Computer engineering hobbyist, aerospace/computer nerd. Okay, so I have an idea for my 1802-based homebrew system. 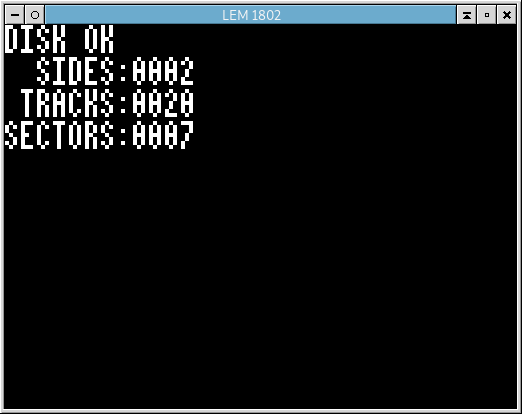 For the ROM and NVRAM/Expansion-ROM, include some type of check value to ensure the contents are valid on boot-time, so that it can inform the user of an error. Boot-ROM failure will throw up an error message and halt, NVRAM/expansion-ROM error will throw up the error, but still boot normally. 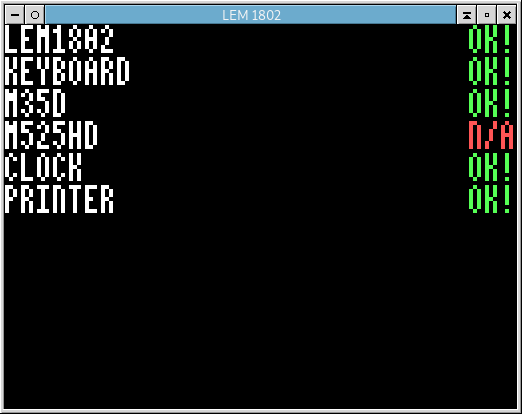 Might also adopt this idea to my Z80 homebrew. Does anyone have any experience switching to i3 from xfwm on a linux install? Want to know if I should expect any oddness that wouldn&apos;t exist on a fresh install. Also, tiling window managers are neat. Has anyone ever been as far decided as to go do write an OS for an 8-bit computer system? 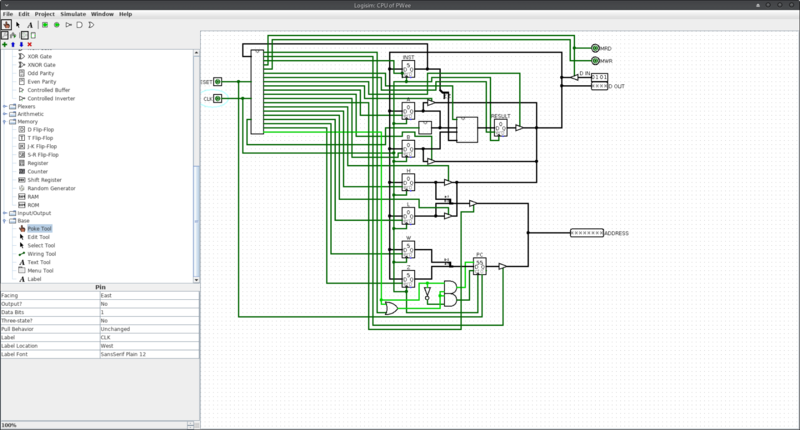 Wrote some programs for a fictional/virtual processor system, the TC-DCPU. I&apos;ve made programs that can auto-find devices, read data from the clock device, and query the floppy disk&apos;s geometry. Going to work on trying to write to the disk tomorrow, see how that goes. 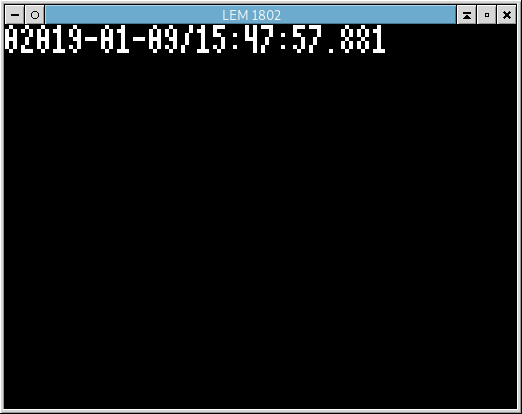 If it works well, I&apos;ll probably work on a program to format a disk image to a custom filesystem I made. So I went ahead and wrote up a spec that&apos;s a hybrid of two other filesystems. It&apos;s simple to implement on an 8-bit system, and allows for large files for later projects. Each I-Block can define a file 36MB in size, but I-Blocks can be chained together in a linked-list to allow files up to 8.5GB in size. It can even address a 2TB volume right out of the gate. All of this with pretty small overhead for each file, and very little overhead for the filesystem itself. Just when I thought I&apos;ve for sure decided on a filesystem for my computer projects, I find an old obscure one that&apos;s simple, efficient, and flexible, that I can mod to include some of my favorite features of LEAN, since &apos;stock&apos; the older filesystem includes irrelevant data. So now I&apos;m wondering if I should stay with LEAN, or modify the &apos;new&apos; one and use it instead. Is it bad to spend multiple hours looking through options for a power switch on a project? Okay, so I thought of something yesterday: I have copies of the Block II Apollo Guidance Computer schematics, and I have logisim on my desktop. Should be possible to recreate it in logisim. So I have a half-baked idea of using either audio casettes or 8-track cartridges for data storage for my 8-bit project computers. Ideally I&apos;d like to use that as a form of removable media instead of using modern stuff like SD or CF cards. So yesterday was an exercise in semi-productive procrastination. 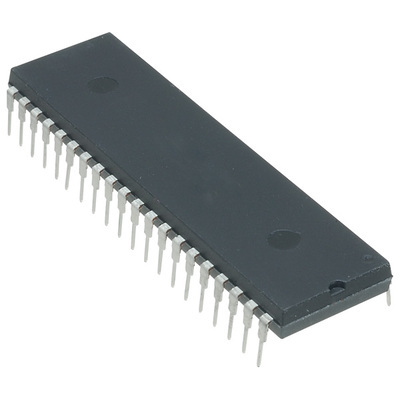 Rather than working on my Z80 computer, I instead studied GPIB for use in my later 1802 computer project. 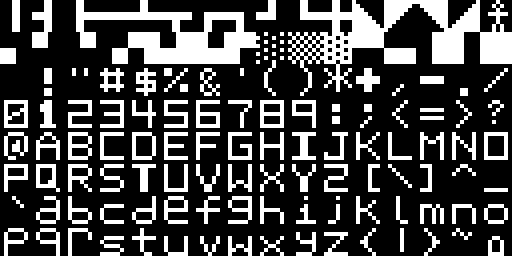 I decided to make an 8x8 glyph set for a planned text-only video card. It will display 30 rows of 40-column text, have the fixed 128-character glyph set pictured, with another 128 characters that can be set in software for programs that need it.